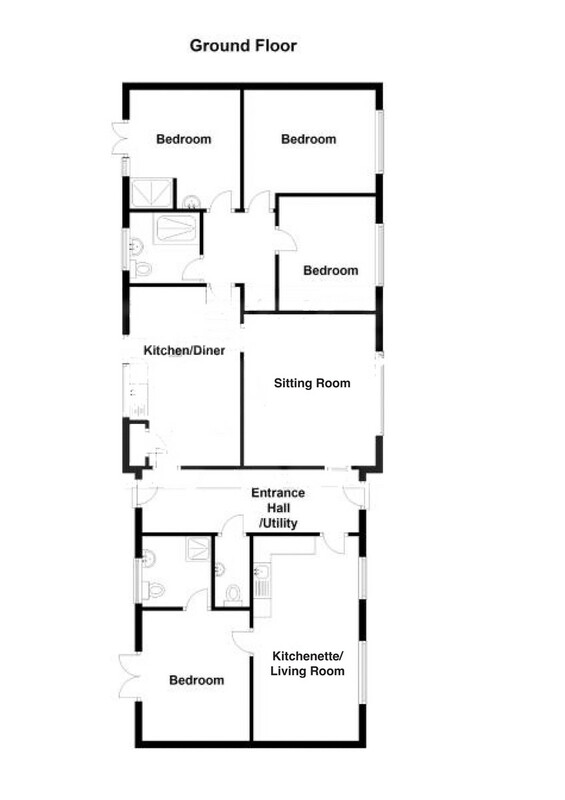 Entrance/utility hall, kitchen/breakfast room, sitting room, inner hallway, three bedrooms one with shower and wash hand basin, family shower room, cloakroom, kitchenette/living room, bedroom with ensuite wet room. Porta Cabin/Dog-grooming parlour, stable block with two loose boxes and lean-to store, workshop, summer house, green house, paddock with separate gated access from road, large car parking area, front terrace, rear terrace, gardens. March (centre) 2 miles; Downham Market 16 miles; Ely 19.5 miles; Peterborough 22 miles; Cambridge 31 miles. March is a market town with a range of shopping, recreational and business facilities. The railway station provides access to Ely, Cambridge, London and Norwich.